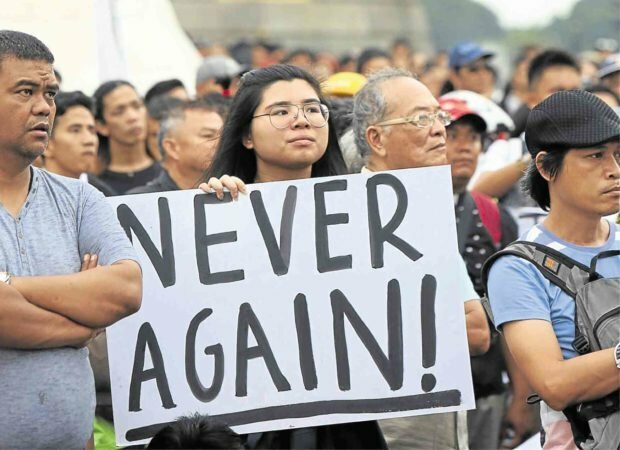 All four petitions against the year-long extension of martial law in Mindanao that were filed before the Supreme Court (SC) have been consolidated, according to the SC Public Information Office (PIO). In an advisory Friday evening, the SC PIO said all four petitions would be discussed during the oral arguments at the SC’s en banc session hall on January 16, at 2 p.m. and January 17, at 10 a.m. The fourth petition was filed by a group led by former Commission on Elections (Comelec) chairman and one of the framers of the 1987 Constitution Christian Monsod. Monsod was joined by Arlene Bag-Ao, Rey Paolo Santiago, Nolasco Ritz Lee Santos III, Marie Hazel Lavitoria, Nicolene Arcaina and Jose Ryan Pelongco. The year-long extension of martial law in Mindanao, which was approved by Congress in a joint 240-27 vote last December, had lacked sufficient factual basis as Marawi City was already liberated and key leaders of the rebellion were reported dead, according to the petitioners. The petitioners named Defense Secretary Delfin Lorenzana, Armed Forces chief of staff General Rey Guerrero, Senate President Aquilino Pimentel III and Speaker Pantaleon Alvarez as respondents in the petition. This argument was also raised in the first three petitions filed with the SC, where it was stressed that the government had already declared the termination of fighting in Marawi. The first petition was filed by the minority bloc from Congress while the second petition was filed by human-rights advocates. The third petition was filed by former Commission on Human Rights chair Loretta Ann Rosales. The government, through the Office of the Solicitor General, is expected to submit its comment on the consolidated petitions not later than 5 p.m. on Saturday, January 13.